$950 – Experience ribs, pork, brisket, and chicken demos with an emphasis on restaurant production and holding. Discuss branding, marketing, PR, catering sales, vending, restaurant financials, resources and suppliers. Tour behind-the-scenes of our restaurants and catering facility. Novices and veterans alike will leave with concrete ideas to impact their bottom line. $950 – Dive deep into the subject of catering. Guest instructors will demo new recipes and share ideas. Learn how to price and execute events for maximum profit and customer satisfaction, and gather dozens of ideas to strengthen your bottom line, elevate your best practices, and help your catering business soar! 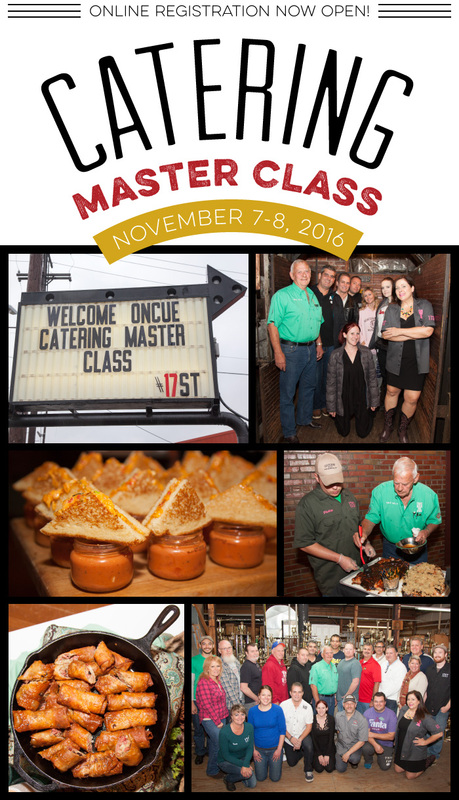 $1050 – Start 2018 with an unparalleled barbecue educational and networking experience. In addition to learning the gospel of whole hog cookery from the masters of the art, attendees will also experience brisket, beef ribs and more. Our speakers will discuss various topics focused on taking your business to the next level. $950 – Dive deep into the subject of catering. Guest instructors will demo new recipes and share ideas. Learn how to price and execute events for maximum profit and customer satisfaction, and gather dozens of ideas to strengthen your bottom line, elevate your best practices, and help your catering business soar! Travel/hotel recommendations will be sent upon registration. You can read all about last year’s class here. $1050 – This one-of-a-kind event brings together some of the most celebrated whole hog and brisket/beef rib pitmasters in the country, along with brilliant marketing and media minds, and showcases a variety of cooking methods and styles. During the class, the pitmaster goes through the butchering and prep process. While the hogs and brisket are cooking, we gather for the BBQ MBA portion of the program and hear wisdom, advice, and cautionary tales from the pitmasters and marketing/media masterminds. And, of course, we sample all of this delicious food and more. You can see last year’s pitmaster and speaker line-up here. Contact Amy Mills at (781) 799-7202 or Amy@NowOnCue.com.